Venom Product Attack! « Big Squid RC – RC Car and Truck News, Reviews, Videos, and More! The good people over at Venom were on a mission today to fill my mailbox with loads of new product press releases! Up first is the new Multi-Function Pro Charger, and it looks like it comes with everything you could ever need! 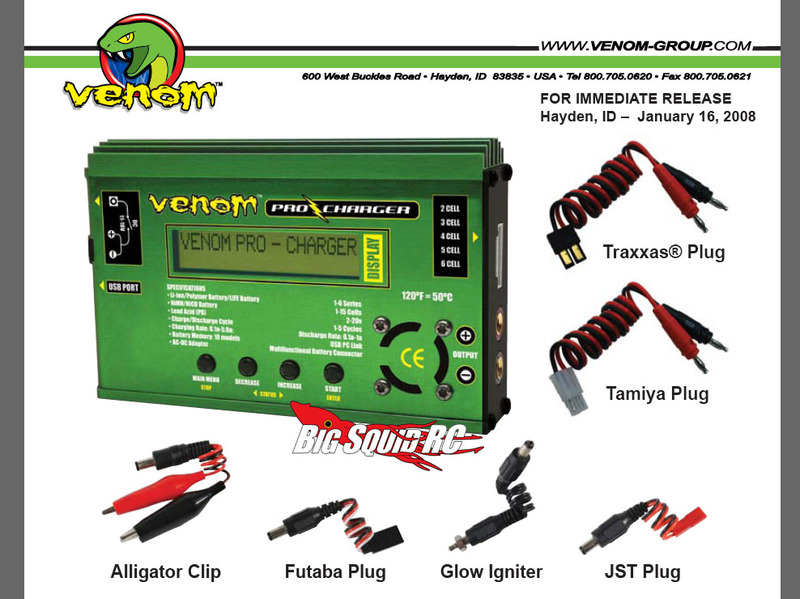 Besides every plug possible, it comes with or without a power supply(nice) LiPO Balancer, and even a plug for those new Traxxas connectors. All that and a USB plug-in! I love USB stuff! 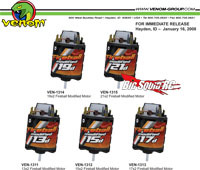 While we are talking about charging and batteries, venom now gives us 8.4 vold 7-cell NiMH flat packs with Traxxas High Current Connectors. 5000mah, 4200mah, and 3000mah all available. 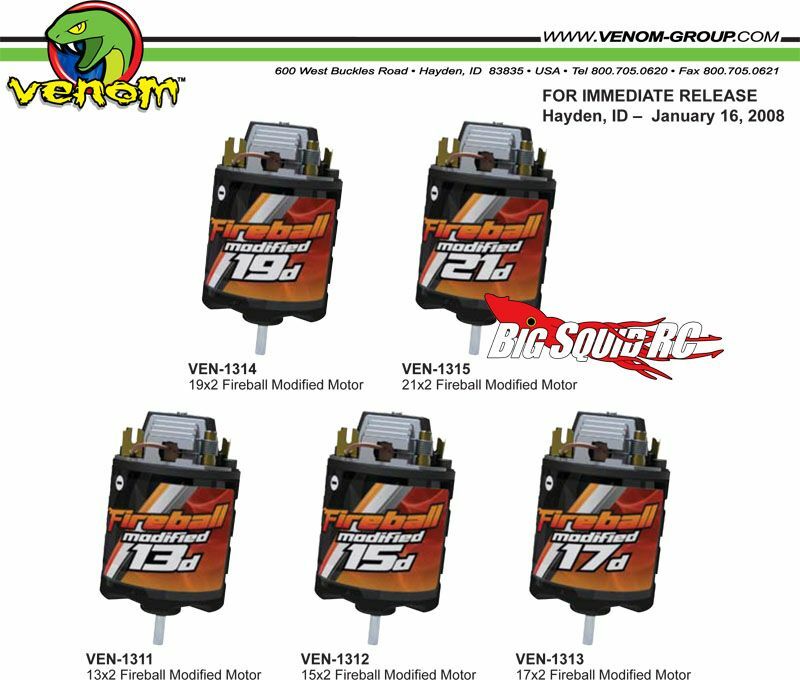 Up next are the new Fireball Modified Motors. High power brushes, pre-wired bullet plugs and factory installed capacitors. To top it all off, the price is cheap! We will probably see a lot of these in basher hands this summer. 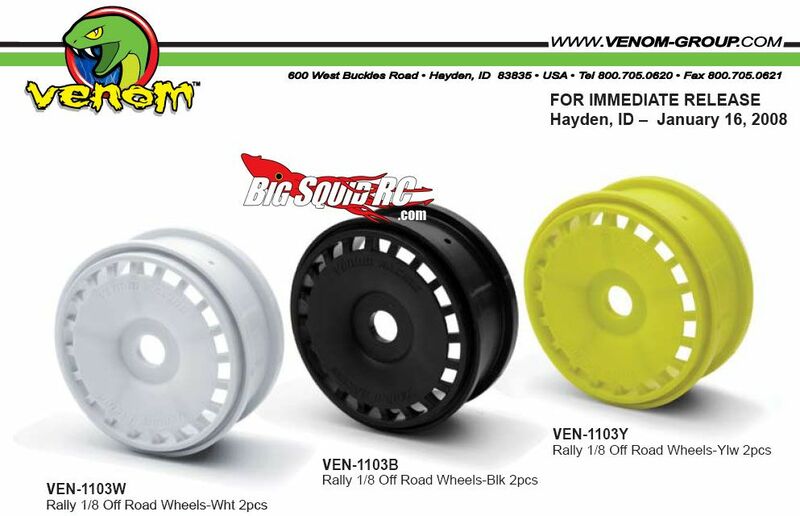 Last up are these new 1/8th Off Road Wheels. Made from Durable High Impact Nylon, and ready to stand up to the abuse a 1/8th scale vehicle can dish out. 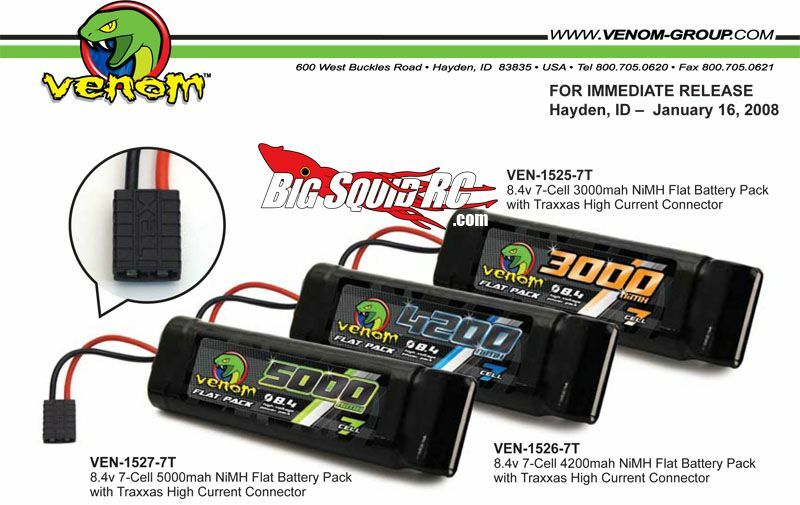 For more information on all these product, make sure to check out the NEW Product Forum or the official Venom Group web page.